Beloit College in south central Wisconsin powered down its natural gas-fired Blackhawk Generating Station in 2005, but the building isn’t out of steam yet. 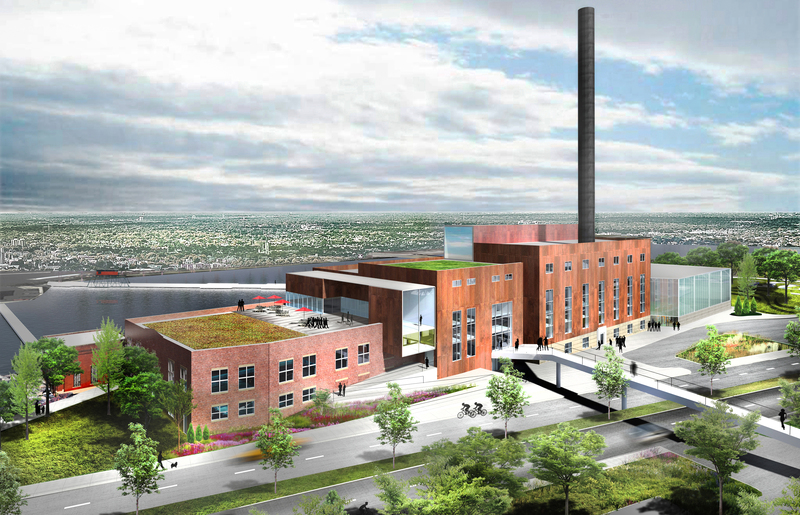 Chicago’s Studio Gang Architects will help find new life for the former Alliant Energy property, connecting it by bridge to nearby residential and academic buildings. 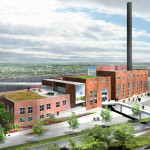 Renovation of the riverside powerhouse is expected to be complete in 2018. 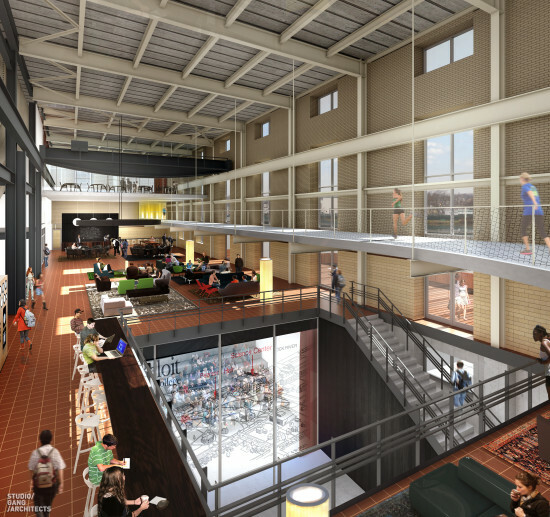 Studio Gang said programs will include a coffee shop, lounges and student club rooms, a conference center, and a lecture hall / theater. 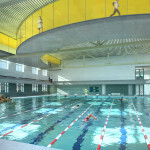 The building will also house an 8-lane competition pool with space for 250 spectators, a 10,000-square foot fitness center, a 17,000-square foot gym, and a 3-lane track weaving through preserved coal bunkers and steel tubing. 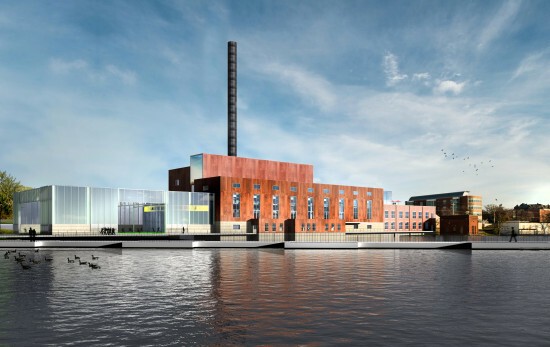 The 130,000-square foot project is part of an ongoing redevelopment of Beloit’s riverfront, tying in with the Beloit 2020 plan to remake the formerly industrial Rock River as a community attraction. 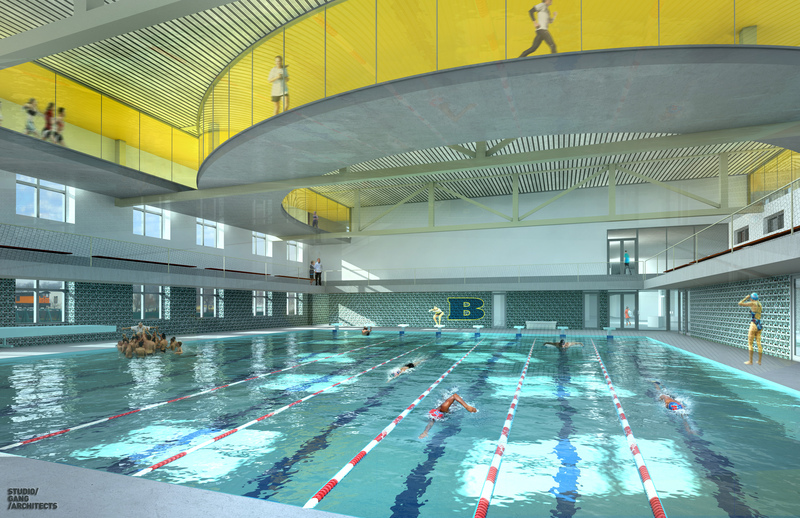 Bike paths, a river walk and riverside housing “will draw people back into the heart of Beloit,” according to a statement from Beloit College.